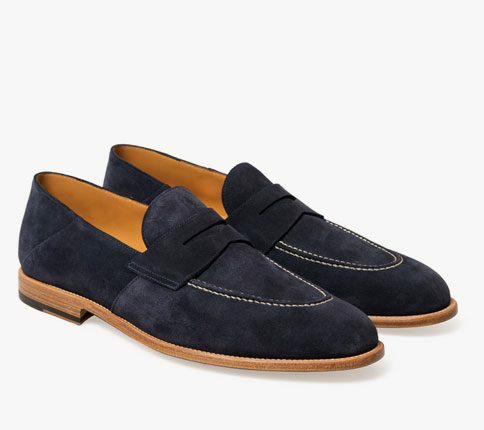 Samuel Penny Loafer with a soft back heel, lightweight and Blake construction. All you need to hear for summer. Made in finest cashmere suede.